The friend of man accused of killing mother speaks out about the days leading up to Dedre Jefferson's death. ALIEF, TX (KTRK) -- Details continue to emerge about the man accused of stabbing his mother, Alief ISD Trustee Dedre Jefferson, to death. Blake Jefferson's former girlfriend says she still can't believe what he's accused of doing -- he just called her on Monday. That conversation was normal, and they even talked about how much they both looked forward to the future. She never thought that future included a murder charge. "If somebody said something to somebody else slick, he'd be like 'Pow!'" said Shon'Tasia Burns. Burns met Blake their junior year at Taylor High School. They dated for a year, but remained close after breaking up. She says he called her out of the blue Monday to thank her for encouraging him to go see his grandfather when he was on his deathbed a few years ago, and to make amends for not being there for her when her mom passed. The son of an Alief ISD board member, Blake Jefferson, has now been charged with his mother's murder. "We had already talked about it before, but I don't think he thinks I fully forgive him," Burns said. "So he just wanted me to understand that he wished he could be there for me but he didn't know how." She says Blake's mom, Dedre Jefferson, was there for her then, and again this year when her grandmother passed away. "She was basically like another mother to me. She used to call me and say 'Hey ladybug. Just checking on you, how is the little one doing?' because I have a little girl." She said the two had one of the closest mother-son bonds she's ever seen, and news that he allegedly killed her shocked their entire group of friends. "He wasn't in his right state of mind when this happened, at least that's what I believe," Burns said. "And if he was, this wouldn't have happened. " Blake Jefferson is in Harris County Jail, reportedly on suicide watch. 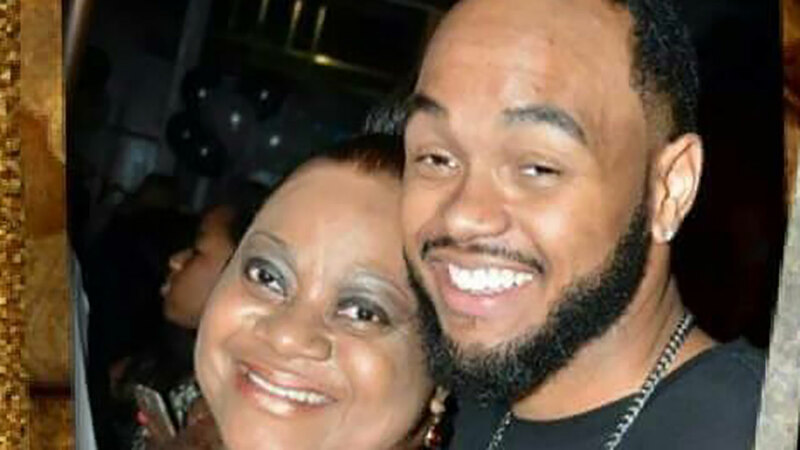 A spokesperson for his family tells us his mother and grandmother both recently noticed some changes in Blake, and that Dedre Jefferson was taking him to see someone Friday. "I know for a fact that something happened that night that we just don't know what it was," says Burns. That family spokesperson said they believe Blake had some sort of mental health crisis that ended with this most regrettable death. He's set to appear in court Monday morning. Funeral arrangements for his mother are pending, but there's a vigil at the Alief ISD Administration building Monday at 6pm.